*Auction items are not not exempt from sales tax and are not tax deductible. Two members of the Society visit the home of persons who request assistance. Calls for help are usually received through our help line. 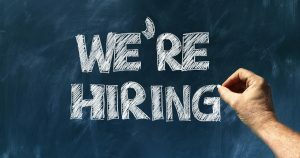 We offer understanding, hope and immediate relief to those in need without regard to religion, race or nationality. We aid with food, rent, utilities and other basic necessities in times of crisis through home visits from pairs of volunteer Vincentians. 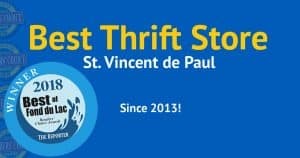 Support the SVDP Fond du Lac Thrift Store as we help those in need of emergency assistance with things such as food, utilities, clothing, rent, furniture and more. 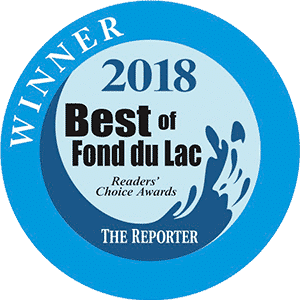 Proceeds from our store sales are put back into the Fond du Lac community to help those in need. 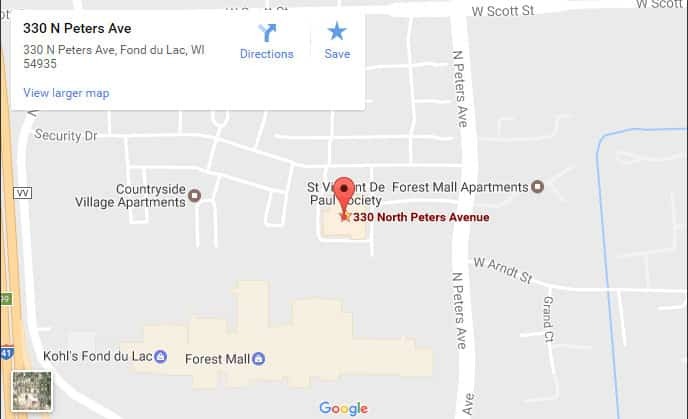 Furniture pick-up throughout Fond du Lac County Monday through Friday 9:00 a.m. to 12 noon. 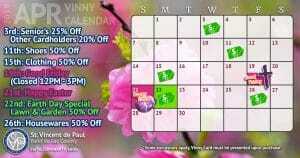 Call the store 920.322.9505 to schedule your pick-up. This holiday season purchase a "Helping Others" tile to honor a loved one or to simply support the St. Vincent de Paul mission of helping others. The 6 x 6 inch tiles have been designed by local school children and contain the honoree's name. They will be permanently displayed in the Thrift Store front entrance area. Tiles can be purchased at the SVDP store service desk for a donation of $100. 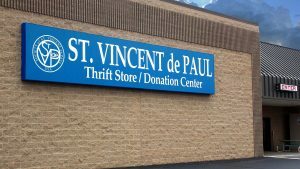 Find out more information on our Thrift Store and Donation Center!